It doesn’t take an expert to realise that Dublin needs to start building upwards. Urban Sprawl on the fringes of the city is swallowing up villages and towns and pushing the commuter belt further and further outwards. So how much will it take to reverse this? 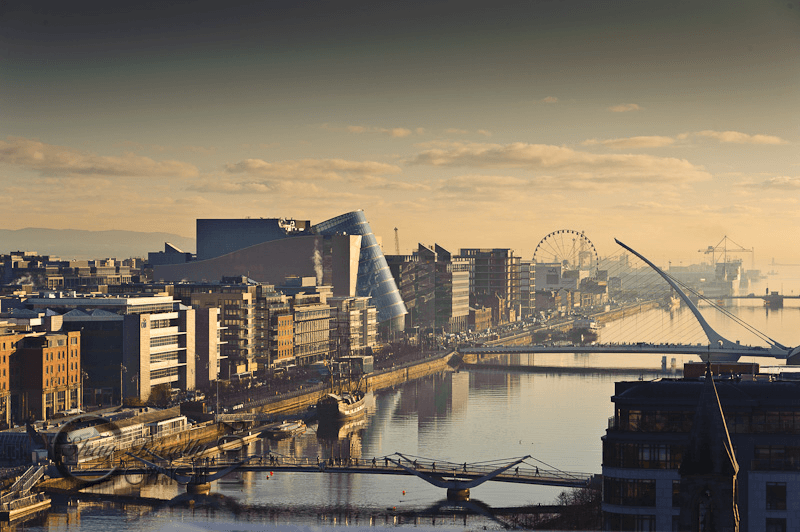 Here are 5 reasons why I think Dublin needs to reach for the skies. 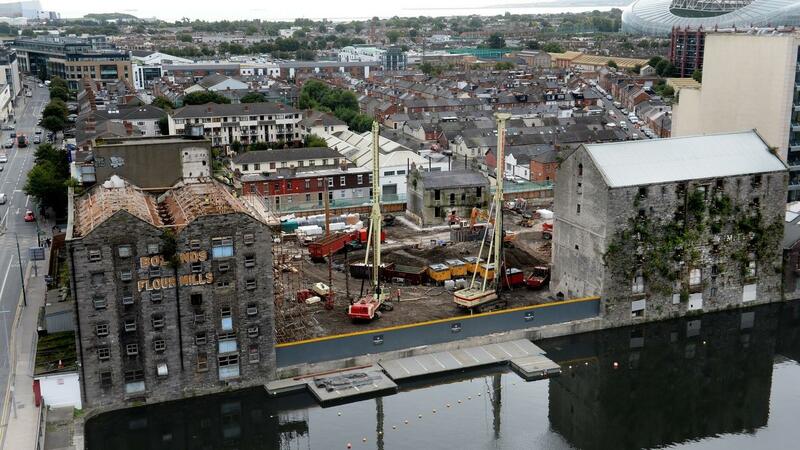 Dublin’s Docklands, after many decades of redevelopment. A brief explanation for those who are not familiar with this: as a city expands further outwards, development moves away from the centre. Eventually, inner-city areas become left behind as the ring of development moves outwards. This was clearly visible in Dublin before the redevelopment of the Docklands. However, after decades of work the area is the most modernised in the city. If we keep building out then more and more of the inner city will fall into disrepair and will end up being more costly in the long run than investing in taller buildings now. While maybe not appearing to be a favorable attribute at first, Dublin’s population density is far lower than other European cities. Take Lyon for example. It has a similar sized population to Dublin, but is spread over just 47 square kilometers, in contrast to Dublin’s 120! The obvious difference being the number of taller of buildings. 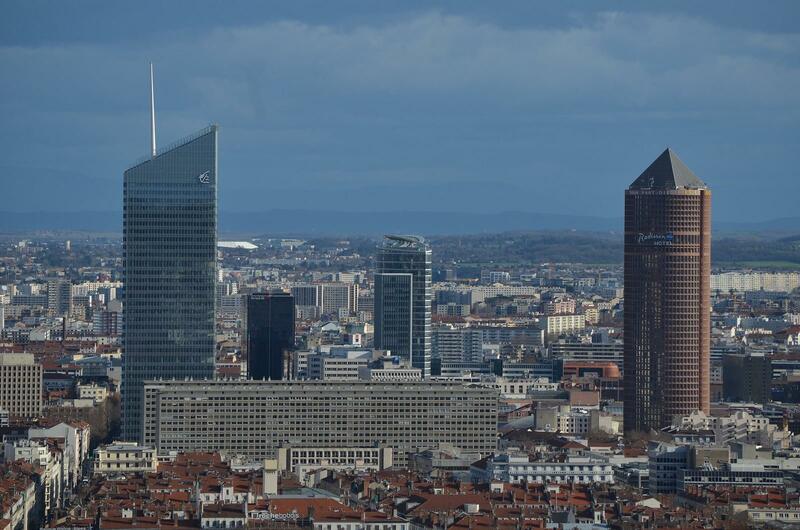 Lyon, while maybe not being the most high-rise heavy city in Europe, still manages to maintain a historic city centre dating back to Roman times, and also have an ultra-modern “new” city centre filled with taller, sleeker buildings. It is an example Dublin needs to follow before it’s too late to start building taller. This is a straight up lie. The parts of the city that qualify as “historic” ( The GPO, Custom House, and Christchurch to name a few) are all far enough apart that if buildings were to get taller in these areas, it would not have an overall detrimental effect. In fact, modern, taller buildings could improve Dublin’s skyline. 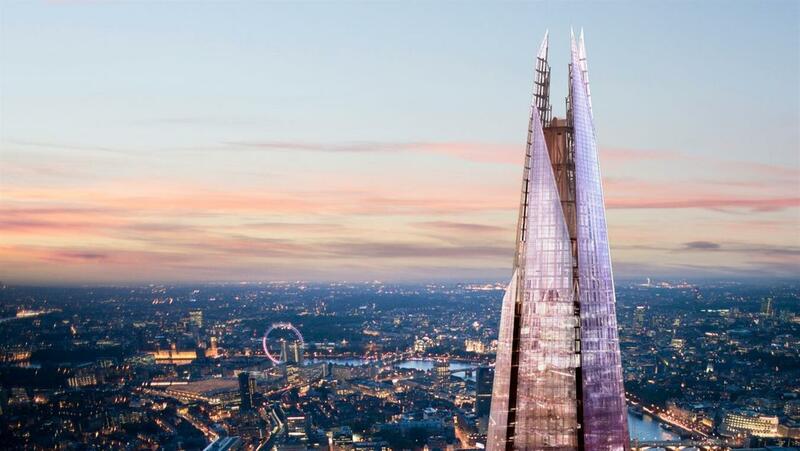 Look at examples such as The Shard in London, The Obel in Belfast or even Capital Dock next to the Grand Canal Basin! 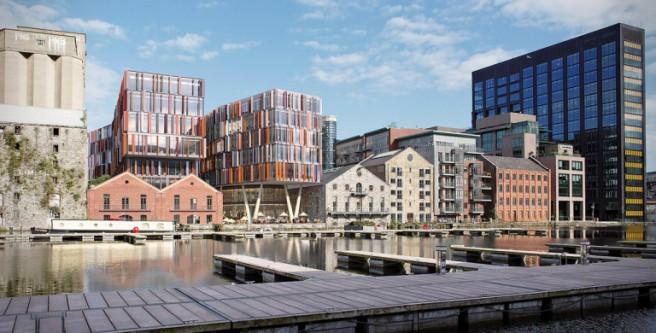 Not every new building is a concrete-clad box of gloom and the recent developments around the Grand Canal basin testify to this. There are many people in Dublin who don’t have access to the DART or the LUAS simply because it doesn’t go into their area of the city. The low density of the outer city is partially to blame for this (as well as a spate of other issues). Take this for an example. 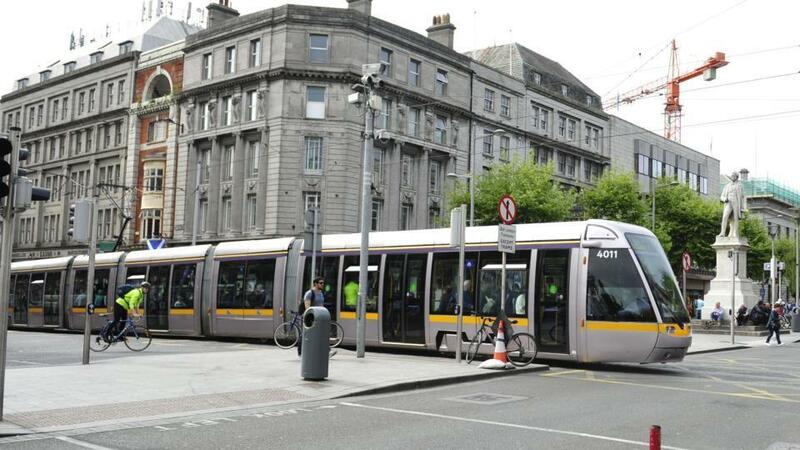 Let’s say there are 1000 people who live within a 100-metre radius of a LUAS stop. Now let’s knock a building in that circle and replace it with a taller building. A taller building means more space, therefore potentially more people residing in it. As a result, there are now 1500 people living within that 100-metre circle. It gives more people access to public transport and as a result makes the area that bit more desirable to live in, and also indirectly supports funding for expanding the public transport network. Construction work beginning on the former site of Boland’s Mills. I don’t think there is a single person in Ireland who isn’t aware of the homelessness crisis or the shortage of housing nationwide. For the first time ever in 5 years, house prices fell last month but this could be a one-off, and not the start of the sector cooling off. To coincide with this, Ireland now has a net inward migration with more emigrants returning than those leaving. All of these reasons require one thing and that thing has been the focus of raging debates for the past 2 years: housing. We need to break down the status quo that you must own a house and have a back garden/driveway etc. We need to adapt to the European model of housing where a much larger portion of the urban population lives in apartments and flats. There is only so much more land that Dublin can expand further out onto and this is unsustainable. In order to become a city of the 21st century, Dublin needs to build denser, higher and smarter. I look forward to the day when I can be in awe of our capital’s skyline. What do you think? Tweet me @DylanCarrig or @Trendster with your opinions!